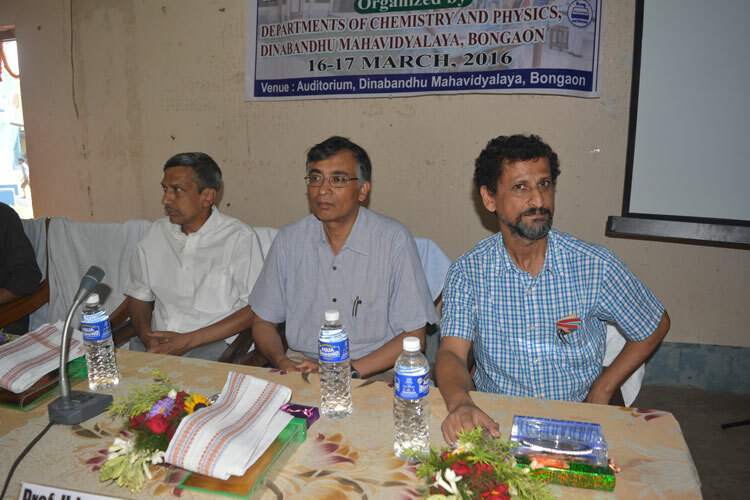 Science Academies' Lecture Workshop on "Excitements in Chemistry and Physics" has been successfully done at Dinabandhu Mahavidyalaya Bongaon on 16-17 March, 2016. 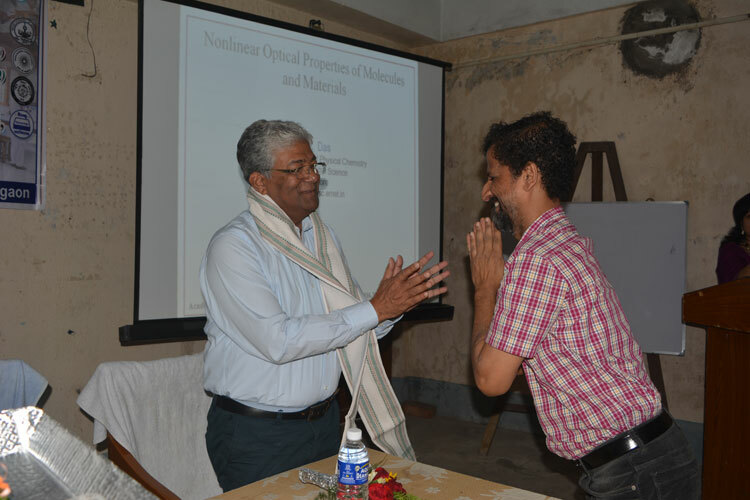 This Workshop was sponsored by INDIAN ACADEMY OF SCIENCES (BANGALORE), INDIAN NATIONAL SCIENCE ACADEMY(NEW DELHI) and THE NATIONAL ACADEMY OF SCIENCES INDIA (ALLAHABAD) and was jointly organised by the Departments of Chemistry and Physics, Dinabandhu Mahavidyalaya, Bongaon. 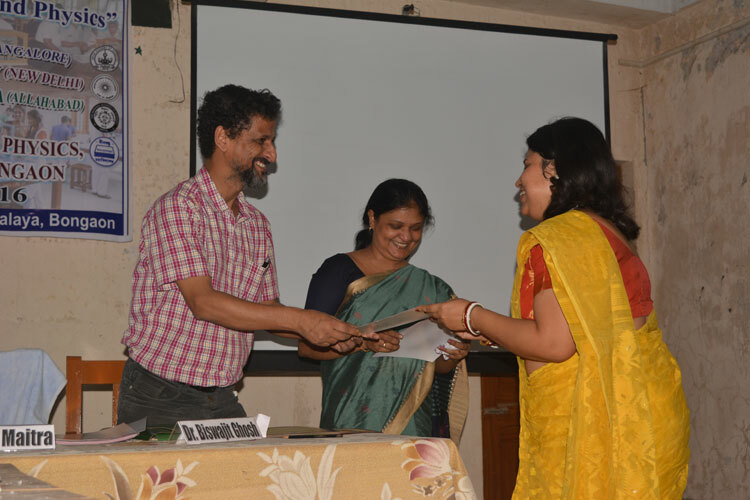 Around 170 participants were present on 16th March and around 150 participants on 17th March to attend the workshop. 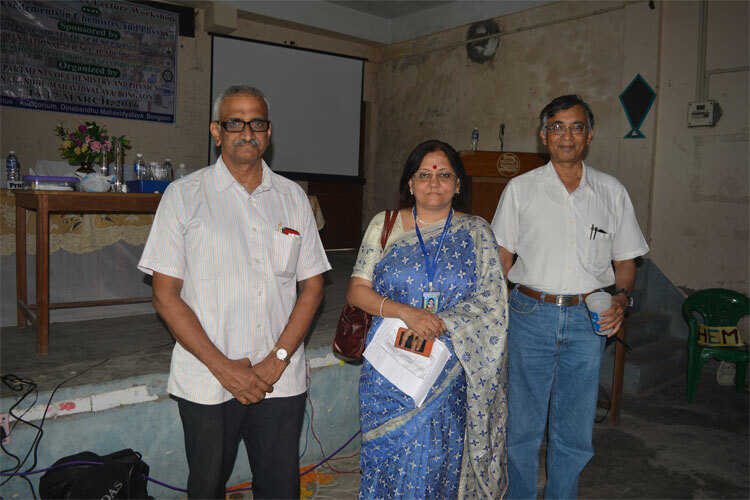 These participants were from nearby colleges, Universities (Both undergraduate, post graduate students and teachers) and also from the Host Institution. 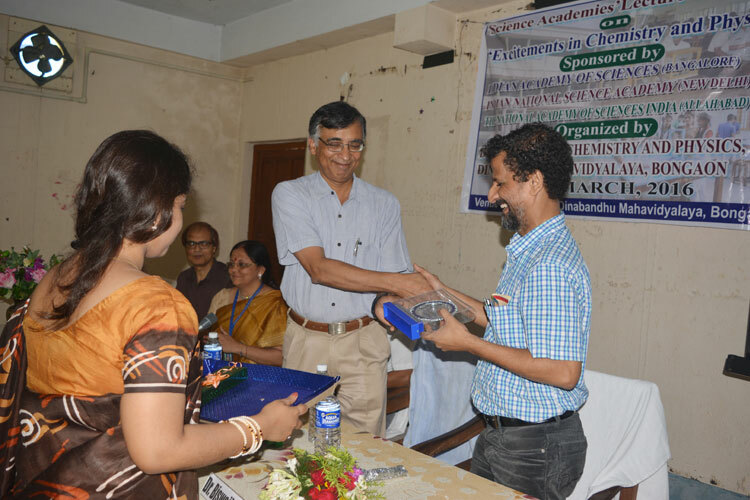 The inaugural ceremony started sharply at 10.45 A.M with lightening the lamp by the chief patron Dr. Biswajit Ghosh, the Principal of the College and this was assisted by the delegates Prof. Uday Maitra, the Convenor of the Workshop and Prof. P.K.Das from IISC Bangalore. 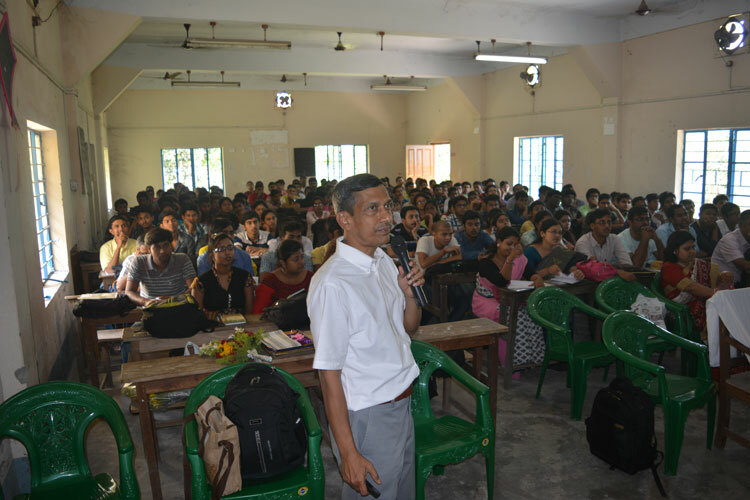 This type of WORKSHOP has been organised first time at Dinabandhu Mahavidyalaya, Bongaon and of course this is the first time it is carried out by a College under West Bengal State University. Bongaon is a remote area, very near to international border (Bangladesh border) and around 77 km from Kolkata. 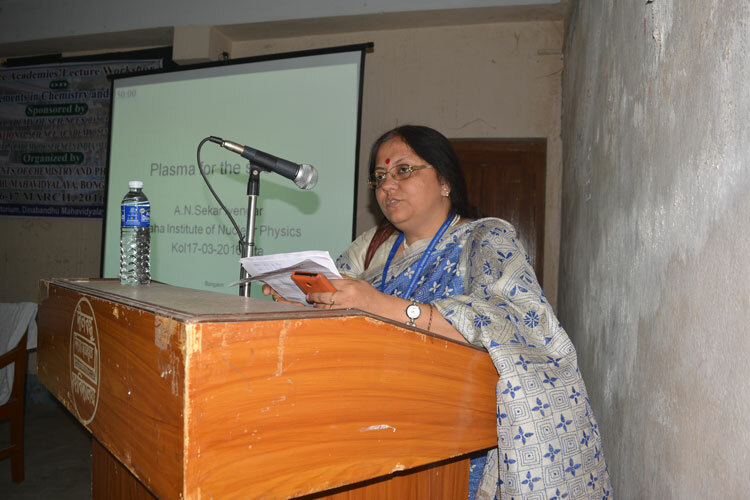 So, it was a challenge to conduct such a workshop here. 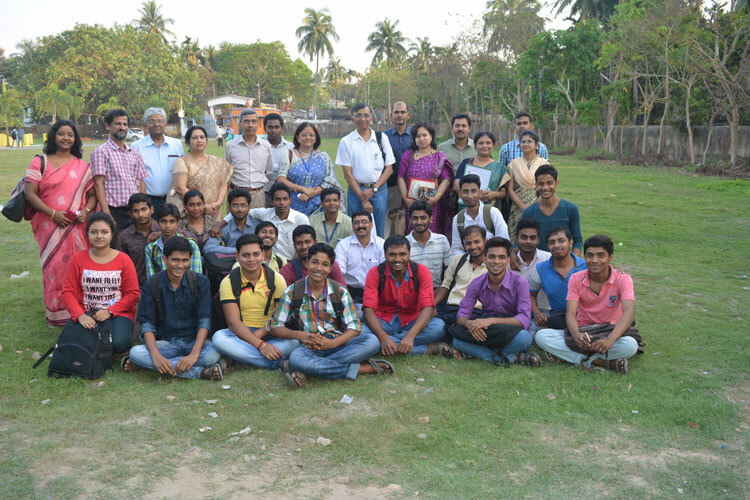 We are successful and hope to organise similar type of workshop in future. 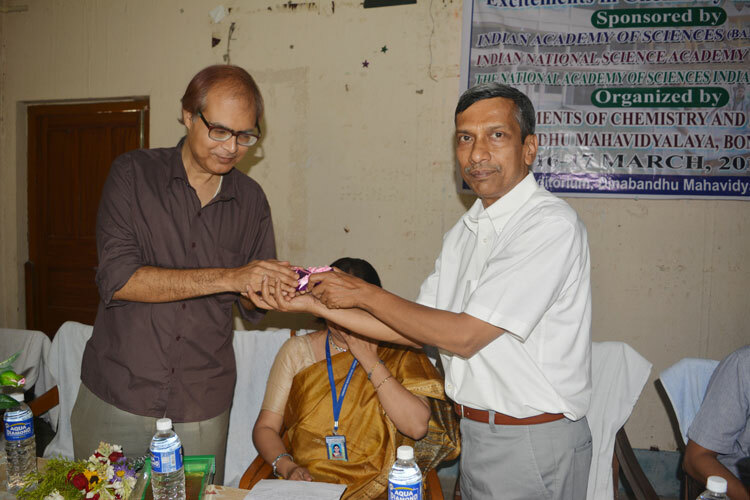 Here, I am sending the names of some of the nearby Institutions which took part in the Science Academies'' Workshop at Dinabandhu Mahavidyalaya, Bongaon.